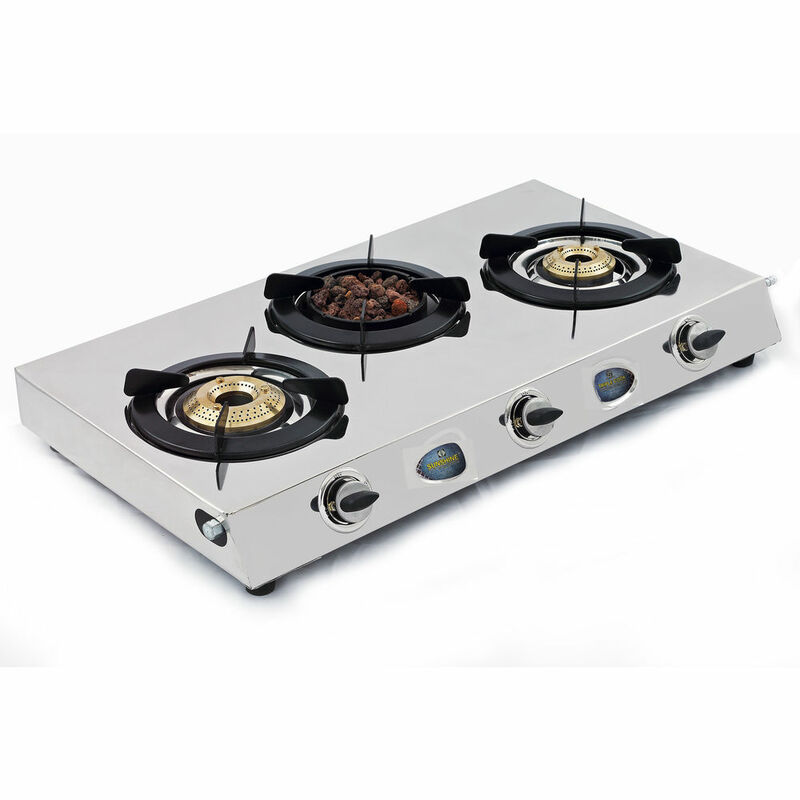 Sunshine presents Meethi Angeethi Three Burner Stainless Steel Gas Stove with the fusion of the authentic Indian angeethi. The food cooked on an angeethi was characterized by the distinct flavor it used to add to the food. Sunshine brings you an innovative fusion of the traditional angeethi and a modern kitchen stove. It intelligently avoids the hazards associated with the coal based angeethi while retaining the benefits that come along with it. Its unique design has the power to enhance the food value by absorbing excess fat and grease. 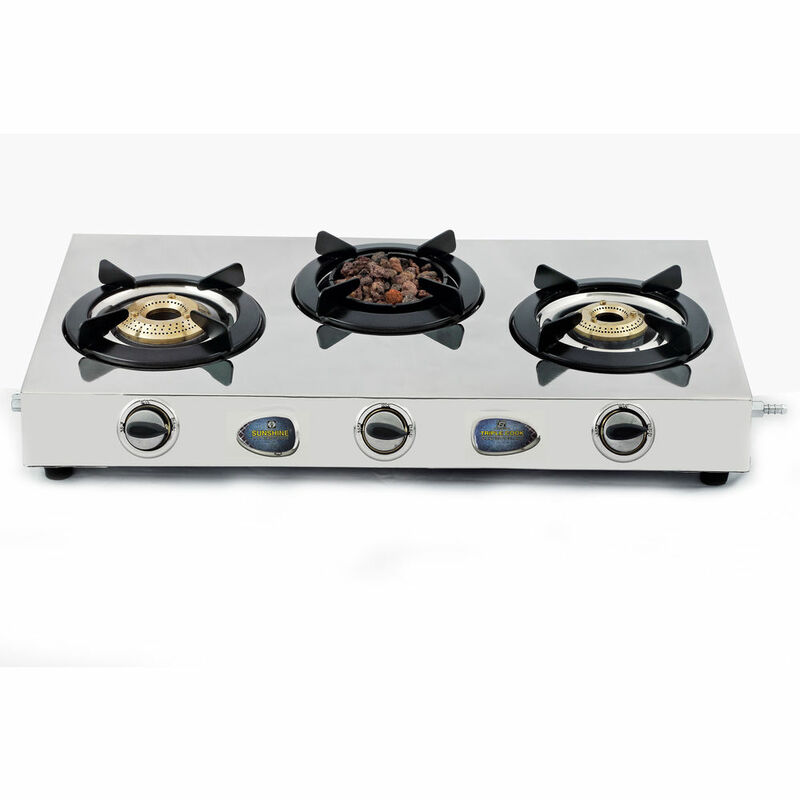 It can also be used for barbecuing at home without the conventional smoke hazards.The lava burner saves energy by retaining and radiating heat for consistent cooking. It is an effective and organic way to cook as it reduces blood pressure and controls diabetes. 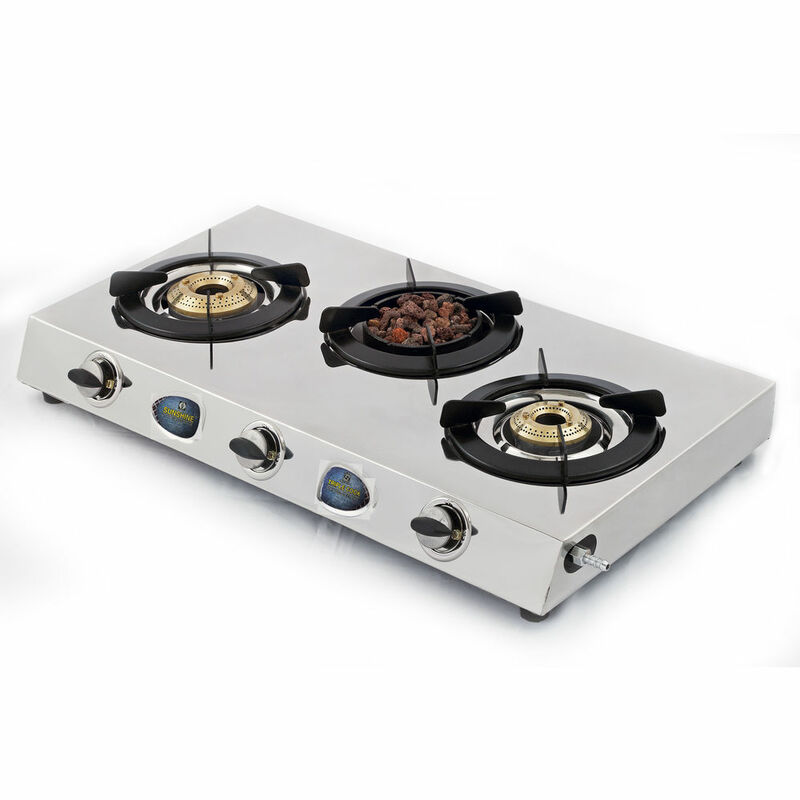 The cherry on the cake is the lifetime durability of these amazing lava burners guaranteeing performance and good health for you and your family. Get Sunshine in your life.